Dec. 3, 2008 - PRLog -- UrbanScooters.com, http://UrbanScooters.com, announces the addition of the new Go-Ped ESR750 Li-Ion to its line up. Go-Ped took their ESR750 electric scooter and improved upon the already exceptional design with the addition of Lithium Ion batteries. These new, lighter batteries give the ESR750Li-Ion increased agility due to the weight difference and more range from the high output the lithium ion batteries are capable of. 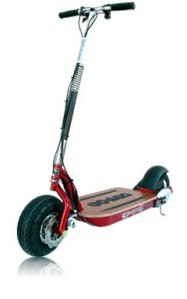 UrbanScooters.com is America's #1 retailer of electric scoooters, electric bikes, gas scooters, push scooters and more.